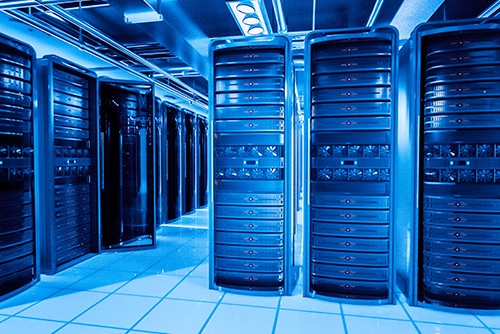 Monitoring and controlling the environmental conditions in a data center is usually synonymous with temperature as the HVAC design tends to focus mainly on how to cool the data center while maintaining the proper air quality. However, the often less understood requirement for air quality is humidity control. During low humidity conditions electrostatic discharge (ESD) can cause costly damage to the servers and other electronics. A properly designed atomizing humidifier will provide the required moisture with minimal operating costs as it uses the excess heat from the servers to provide the energy that is required for evaporation of the fog droplets. Paired with an airside economizer, the evaporative cooling effect will assist, or fully provide, the cooling to the servers (depending on geographical location). Since the atomizing humidifier uses demineralized water (Reverse Osmosis) and UV sterilization, no mineral dusting occurs and no chemicals are added to the airstream. Any water that is not fully evaporated will be captured by the mist eliminators and taken to the drain, leaving only cool humidified air at the discharge of the humidifier section. Provides evaporative cooling and humidification with minimal energy usage. Redundant Pump System provides necessary backup. Uses demineralized water that does not add dust to the airstream. Requires minimal maintenance and provides quiet operation.